The renovated and expanded Harvard Art Museums have entrances on both Quincy and Prescott Streets. The staff of the Museums hopes that casual passersby will filter through the building and gather in its central courtyard. Visitors can arrange special appointments for close-up viewings of art objects at the Art Study Center. Gazing toward the glass roof over Calderwood Courtyard, a visitor can glimpse the galleries and labs in the four floors above. The Winter Garden galleries of the Harvard Art Museums were designed as places for visitors to rest their minds and eyes, says architect Renzo Piano. The Lightbox Gallery, on the building's fifth floor, will enable visitors to interact digitally with the Museums' collections. Thomas W. Lentz joined the Museums as director in November 2003. He has raised more than $250 million to date for the renovation and expansion project. Describing how the Fogg Art Museum, the Sackler Museum, and the Busch-Reisinger Museum were made to physically connect with one another, Lentz declares that the new building creates “apertures in all directions” on the second and third floors. Thematically and physically, one collection opens into the next, staging unlikely conversations through adventurous curation. On the third floor, sculpted heads from Benin, Rome, and northern India sit side-by-side. Pieces from Lorraine O’Grady’s Miscegenated Family Album, in which the artist juxtaposes family portraits with ancient Egyptian imagery, hang in the same room as rare fragments of tapestry and ancient artifacts. The third floor is also home to special exhibitions, including the inaugural presentation of Rothko’s restored Harvard Murals, as well as an exhibit titled Rebecca Horn: Work in Progress, displaying filmed performances, sculptures, and photographs by the contemporary German artist. “It all interlocks,” the artist herself has said—not least with the installation commissioned specifically for the lower levels of the new building. When activated last Wednesday, a machine sprayed black onto the white wall, and onto three opening and closing books by Pessoa, Kafka, and Joyce. Horn calls Flying Books under Black Rain Painting a kind of “baptism” for the new institution. The installation links the ground floor to the lower lobby, where the new Menschel Hall will show her full-length feature films. The fourth floor was also designed with students in mind. 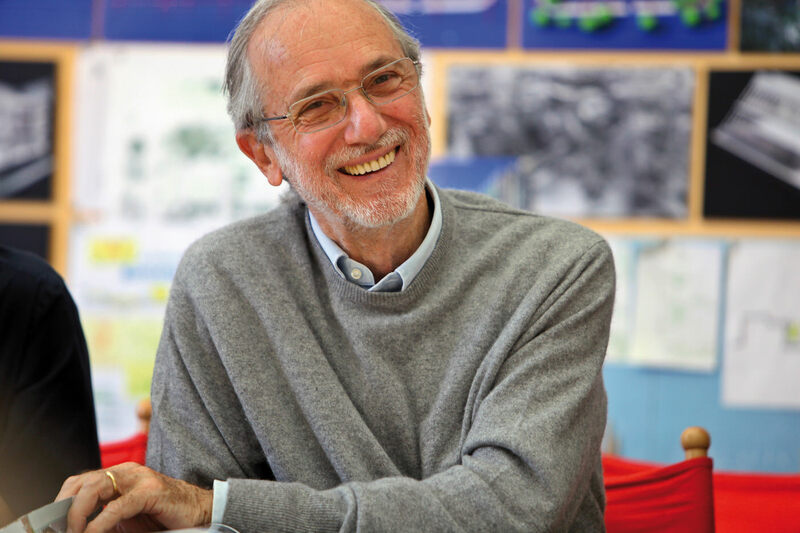 Mark Carroll, an architect at the Renzo Piano Building Workshop, says that the Art Study Center was “a hot topic” during the building’s design process. (“The other was the loading dock, of course,” Carroll joked.) How could they make it easy for pieces to be requested, and transported to the center, while also maintaining security? Charles Klee, principal at the Boston-based design firm, Payette, which partnered with Piano’s workshop, adds that there had been an additional challenge in designing this space for the public: “how to make them understand” that this is a space where they are welcome.